This is where you go to visit the NASA Space Center and experience mind-boggling adventures in space. 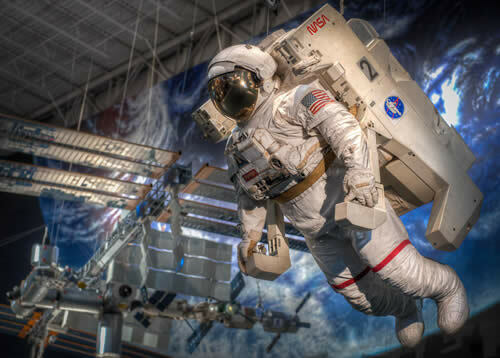 Space Center Houston features exhibits, theaters and other attractions like a replica of the Space Shuttle Explorer. You can enter the capsule and get a feel of life inside the space shuttle. The museum has over 56,000 pieces of art from ancient times to the present. Its collections include African art dating back 2,500 years; American sculpture and painting highlighting the works of Frederic Remington on the American cowboy, and 19th century landscapes by Thomas Cole and Frederic Church. Other collections include Asian art, Egyptian antiquities, African and Indonesian gold, Brazilian constructive art, European painting and sculpture, and works by Impressionist and Post-Impressionist painters. A 130,000 square foot entertainment complex in downtown Houston, you’ll find many theaters, eating places and bars. There’s the Bayou Music Center, a theater that can be re-arranged in a wide variety of seating configurations from 2,400 seats to 750. It features live performances by world-famous bands and artists. Befitting the state’s reputation, festivals in Houston are Texas-size. The Houston Livestock Show and Rodeo is the world’s largest show of its kind, running for three weeks starting every February. Another huge event is the city’s Pride Parade celebrating Houston’s LGBT community. The Bayou City Art Festival is one of the top five art festivals in the USA. The Art Car Parade, displaying all types of art on wheels and the three-day Houston Greek Festival are more among the many events that make Houston unforgettable when it comes to fun and entertainment.